Autumn is here and so is the best time to cruise in style. Unlike the cruises summer vacation period, autumn cruises see the least of the crowd and that is what make them special. Below is the list of top 10 cruise holidays for you to experience in Autumn. Enjoy Italian heat in October with the sparse crowd: this is one of the best times to visit Venice. This cruise is for 10 days also includes Milan, a visit to Verona on the way to the boat moored in Venice. 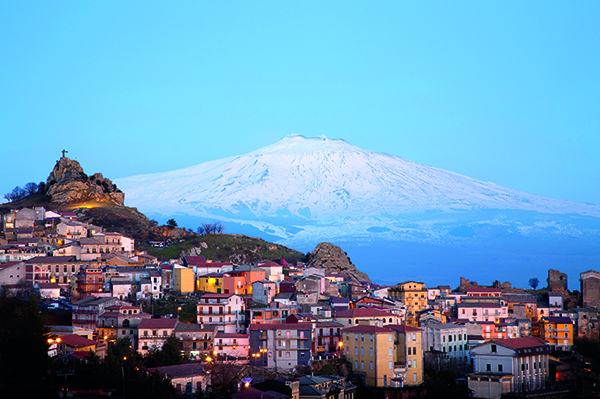 The Gems of Northern Italy costs $2866.46 (from $ 4696.90) per head, with Uniworld (0808 281 1125; uniworld.com). The cruise travels from Milan on 9th September 2016 and goes to Venice through the cities of Verona, Padua and Bologna. Prices of the cruise are inclusive of airport transfers and travel, but not the cost of the flight. Bonus: The total price includes a two-night stay in a four-star hotel in Milan. 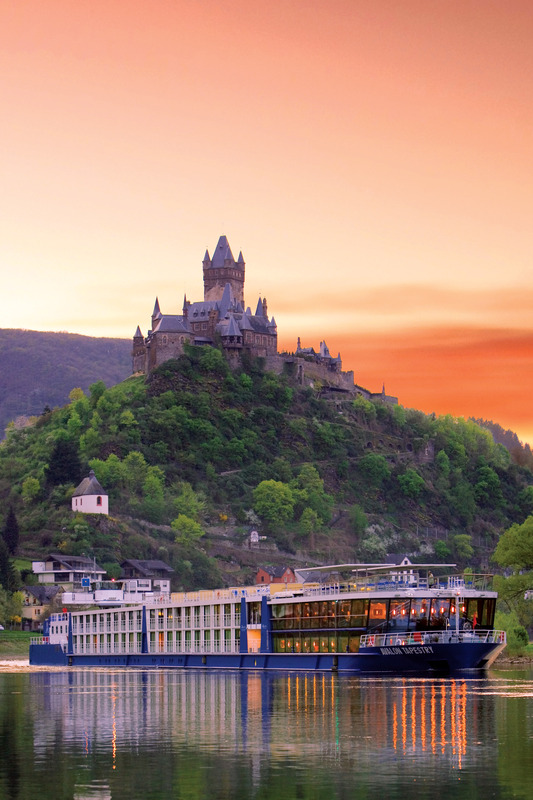 This river sails through Germany, Netherlands, Hungary, Austria and Slovakia, traveling through amazing landscapes and attractions including Budapest, the Rhine Gorge, and Vienna. This 15-day river cruise Splendours of Europe costs $4875.06 per head (reduced from $6095.35) by the cruise line Emerald Waterways (0808 115 6269; emeraldwaterways.co.uk). The cruise travels from Amsterdam on 27th of September 2016. The total costs includes flights and transfers. Bonus: The cost of the cruise includes six "EmeraldPlus" activities, to name one, home-hosted afternoon tea with a Slovakian family. Would kill to experience late-summer Mediterranean sunshine? Do a little research to find good value for money cruises. Cruises lasting for a week or maybe a little more, try P&O Crusies’ Vantage Fare. They offer a choice of cabin and several upgrades. Also, you have a range of dining times and tables to choose from in ship’s chief restaurants. The customers of the line get various benefits for choosing P&O: on-board markets, parking at the airport or in Southampton or coach transfers. The cruise costs $1951.24 per head with a cabin outside, for a West Mediterranean Cruise on Ventura. It includes an on-board credit of $170.84 for each person (0843 373 0111; pocruises.com). The cruise departs from Southampton on the 30th of September, 2016. It travels through Rome, Barcelona, and Lisbon. Bonus: The cruise also have Olly Smith, the wine expert on-board who conducts wine-tasting sessions for the guests. The cruise is for seven nights and it travels through France and Spain. The Royal Caribbean’s resort-size ship called Navigator of the Seas, also provides complimentary drinks on. With several bars and restaurants present onboard, various pools and nine-hole golf, activities such as rock-climbing wall and countless entertaining shows are presented onboard making this cruise ideal for younger families. Bonus: This cruise provides a complimentary credit of $50/£38 on-board for each person residing in the stateroom with balcony and suites and credit of $25/£19 for each person residing in the interior staterooms with ocean view. The cruise is going on a search to witness the northern lights this fall. It is the first cruise of its type. The cruise is of 15 days, departing from London Tilbury, travels by the Norwegian coast, crosses the Arctic Circle on the way for a shot at getting to see the aurora borealis. $1036.03 per person (reduced from $2074.49) is the price of the Land of the Northern Lights cruise aboard Cruise & Maritime Magellan. It departs from Tilbury on 29th of October 2016. Cosmos Tours are your point of contact for this cruise (0800 440 2797;cosmostoursandcruises.co.uk). Bonus: Use code SAVE25 to save more. You can get an extra $61.01 reduced per head if you book your place by August 31. For historical landmark hunters, this cruise traveling from Seville to Málagashould be the first choice. From ancient ruins to historical cities, thrown in a nice sum of cultural distractions is what you are looking for. The best bits include an overnight stay in Marrakesh, visits to Rabat (Morocco), a tour of the Alhambra palace complex in Granada and also the spectacular Roman ruins of Volubilis. Bonus: The single supplement is capped at $122.03 for this cruise. A short four-night cruise to Croatia on a four-masted Star Clipper is perfect for first timers or those who are not comfortable with long 10 or 15-day cruises. Starting on 1st of October 2016, this Croatia and Slovenia cruise price starts from $1194.66 per head, if booked from Iglu (020 3696 9451; iglucruise.com). It travels from Venice to Mali Losinj, Rovinj, Croatia and Piran (Slovenia). The total cost of the cruise includes flights. Bonus: Cruise offers onboard complimentary watersports on the ship’s marina deck. The sports include almost everything from paddle boards and snorkelling equipment to kayaks. A two-week cruise which includes five overnight stays in port and also an elongated stay in Piraeus (for Athens). The cruise travels around Turkey’s Lycian coast and includes tours of Pergamon, Ephesus and Miletus. You are also provided guided explorations of ancient city of Epidaurus and Olympia. This 14-day tour of Aegean Sea on Minerva, a small ship of Swan Hellenic is priced at $1219.07 per head (saves you $849.32). It departs from Larnaca in Cyprus on 2nd November 2016. The total cost of the cruise includes flights and airport transfers. Point of contact: (01858 414001; swanhellenic.com). Bonus: For balcony cabins and outside, no single supplement is present. Reduced from $3862.22, the cruise costs $2195.30 per head, this 15-day cruise named Magnificent Europe travels from Amsterdam to Budapest, with Avalon Impression (0800 668 1801; avaloncruises.co.uk). Departing on 18th of October, the cost of the cruise is inclusive of flight fare and transfers. The reduced price is the real attraction, combined with the fact that the cruise travels from Rhine, to Main and Danube, also taking in vineyard, historical sites and Unesco World Heritage Sites. The best bit would be Wachau Valley in Austria and Passau. Bonus: Travelers who reside within the 100 miles of the airport from where the cruise departs gets a free home pickup service. For a wide variety of sunny winter cruises, Fred Olsen cruises depart from Dover, Rosyth, Liverpool and Harwich. The cruises offer various departure points in UK. The Winter Warmer deals consists of a 16-night trip on Black Watch from Rosyth, Edinburgh. Taking in Lisbon, Santa Cruz, Porto, Honfleur, Arrecife, and Funchal. The France, Canary Islands and Portugal 16-night cruise is priced at $1097.04 per head. The cost is reduced from $1829.21 and gives a nice saving deal. Departing from Rosyth on 12th October 2016, that is last day you can book, 12th October (0800 0355 242;fredolsencruises.com). Bonus: Upon upgrading, Fred Olsen Cruises offers an all-inclusive drinks package costing £10 per head, per night. Get away for a while from your SEO or web developing business, or whatever it is you do, this fall and enjoy. Wouldn’t be wrong to say that this is one of the best experience to spend your $$$ on! What do you think of the list above? Which cruise would you like to go on? Have you ever attended a cruise in autumn? Share your experiences and views down below in the comments.